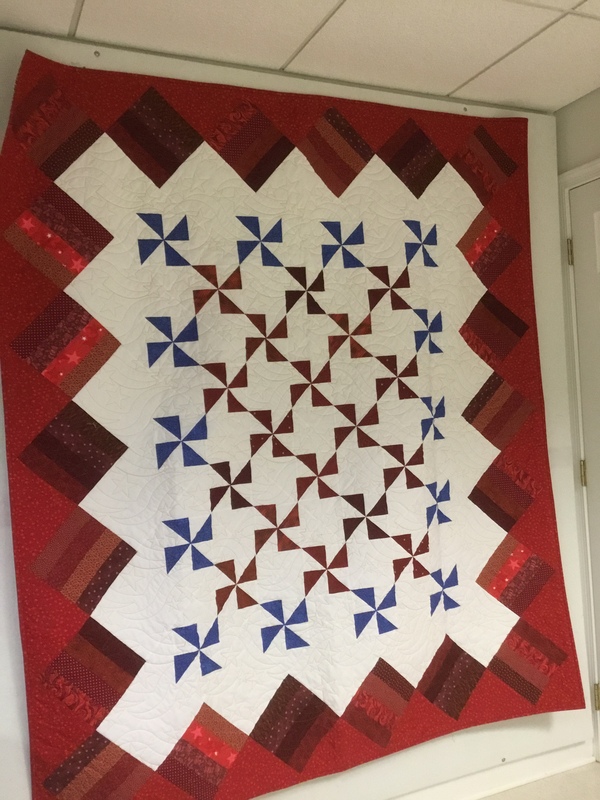 Stephanie has been busy as usual and is sharing her February finishes with us! 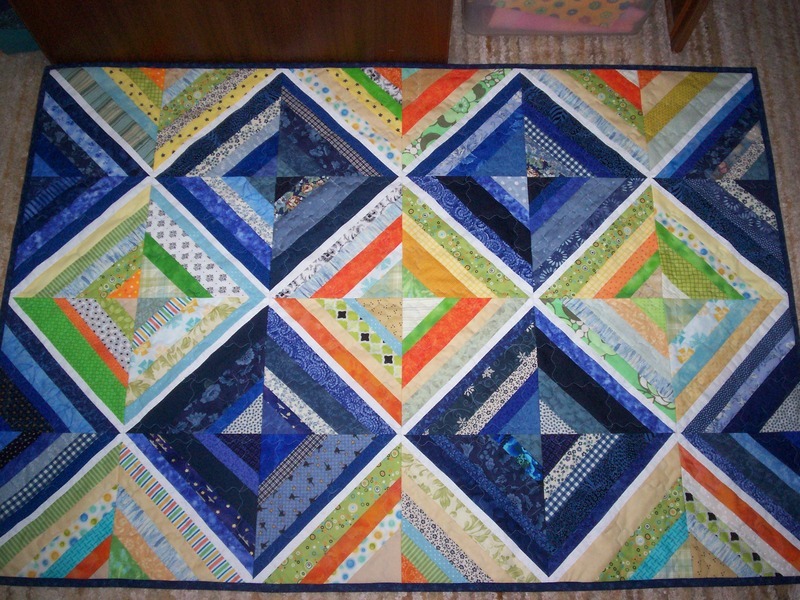 First up was Interlocking Plus, one of many Plus quilts I started over the past couple of years. 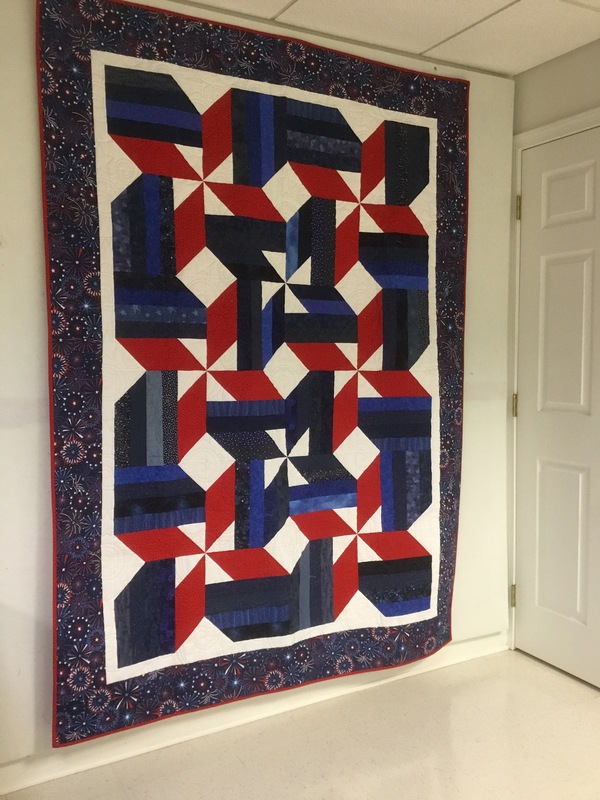 I finished piecing this one in January for Charm Squares month, and quilted it in February. 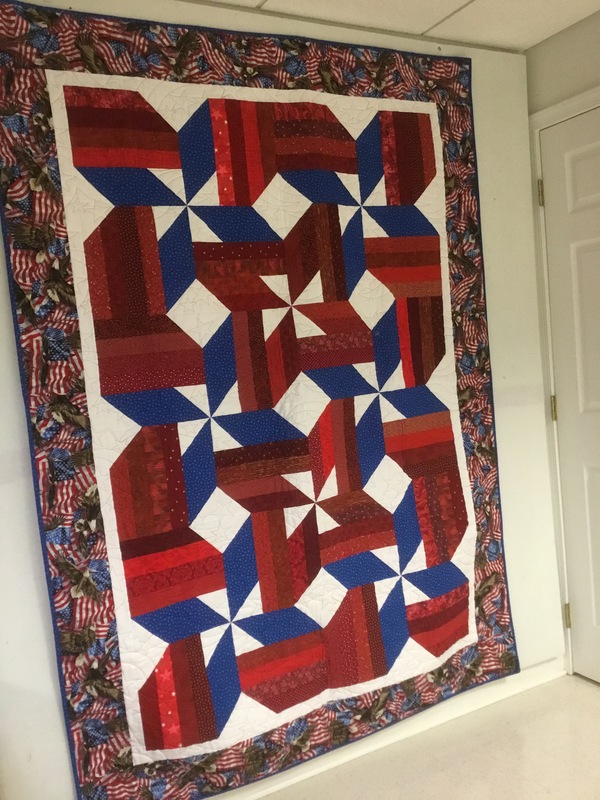 This Zipper quilt is from a Missouri Star U-tube. It used a single Kate Spain Horizon charm pack. Border and background found in my stash. I think the background is actually a Christmas fabric, it has tiny silver stars all over. This Heartstrings one is another 24 blocks towards my 365 challenge. 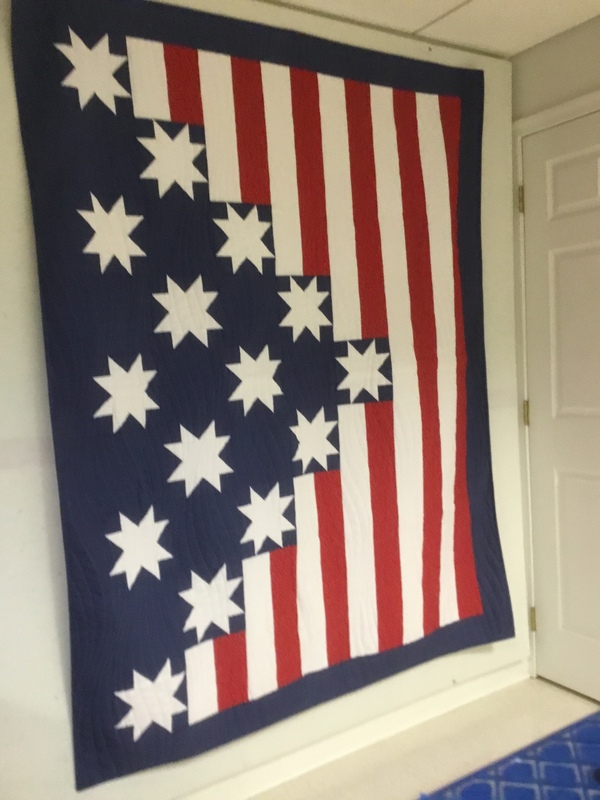 A friend gave me the solid blue, there was exactly enough to cut 24 pieces, 2.5 inches wide. Next I chose the fleece backing, then picked my strings and selvages to coordinate. These two were FQ UFOs, both designs by Allison Harris (Cluck Cluck Sew). Stacks is from her book “Growing Up Modern”, with a small modification by me. 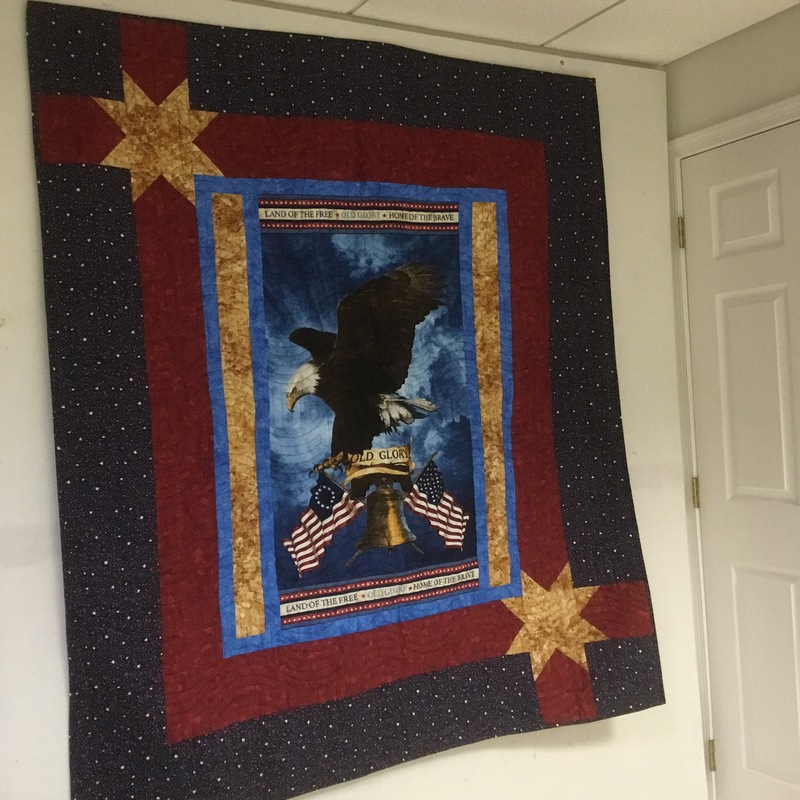 I made the two sides from the same fabric and added a matching strip top and bottom to give a faux border effect. 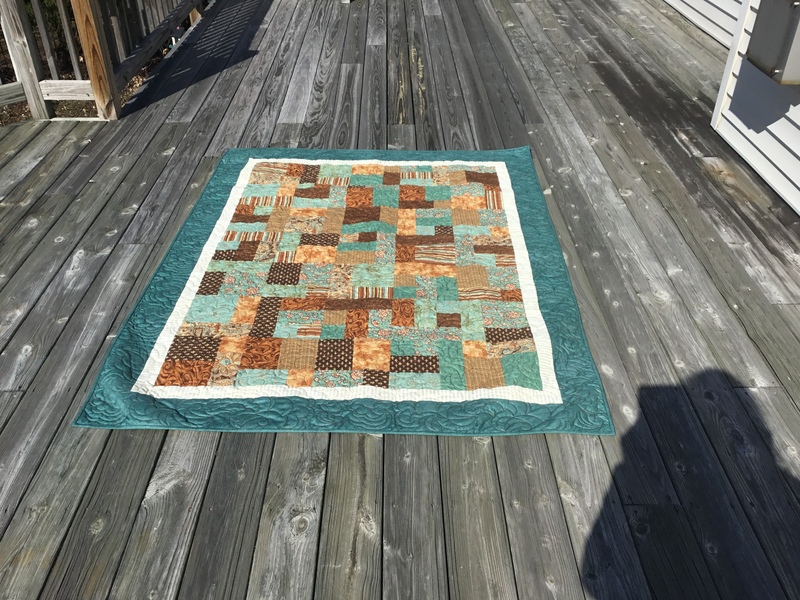 Road Trip is a free tutorial from her blog, again with a modification by me. 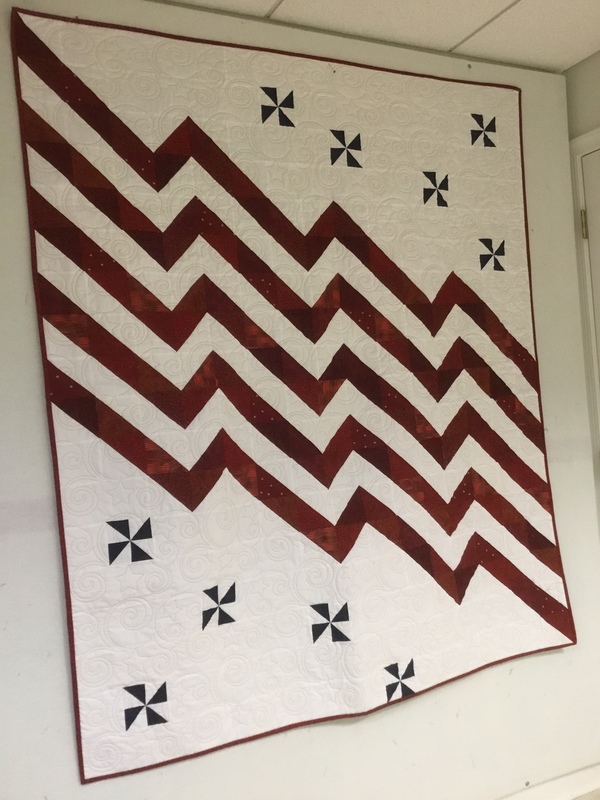 I added sashing cut at 1.5 inches, both to add to the size of the quilt, and to separate the prints. The Dresden Fan was my oldest ufo. 104×104. 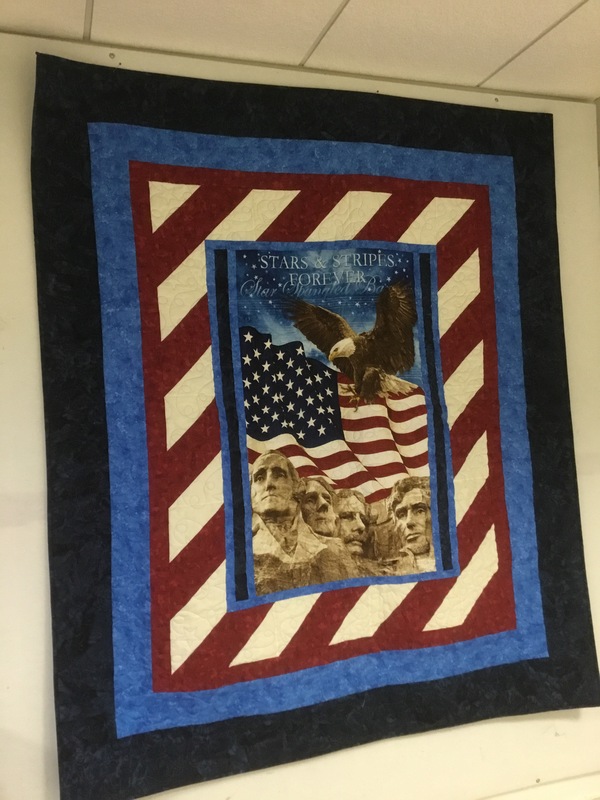 There was never a plan on how many blocks or how to set them so it has languished for years I just decided to sew until it was all gone. The brown and teal Yellow brick road was fabric I was gifted 11 years ago for doggy sitting for a friend. The brown and pink was a kit a friend bought and decided it was too much work to appliqué those flowers so she gave it to me a couple of weeks ago. It feels good to get stuff done. 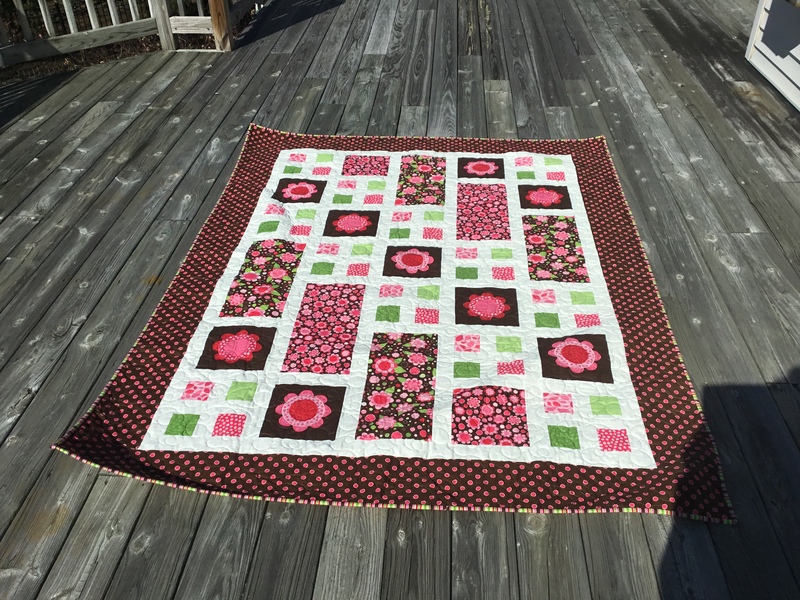 We’ve done some projects with light and dark strings and I love how Stephanie used that idea for this HeartStrings quilt. Half the block is blue and the other half light and bright! 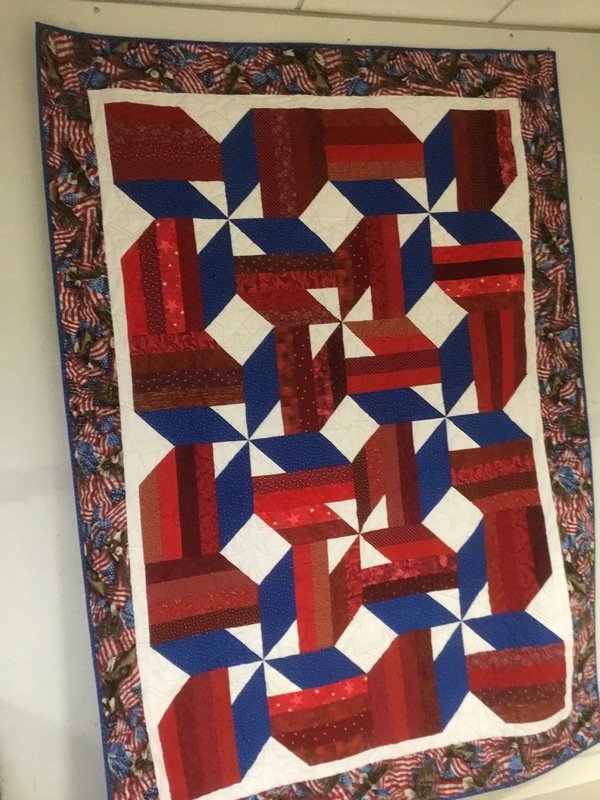 I’m always inspired by the quilts Ann is making and these homespun quilts are no exception! 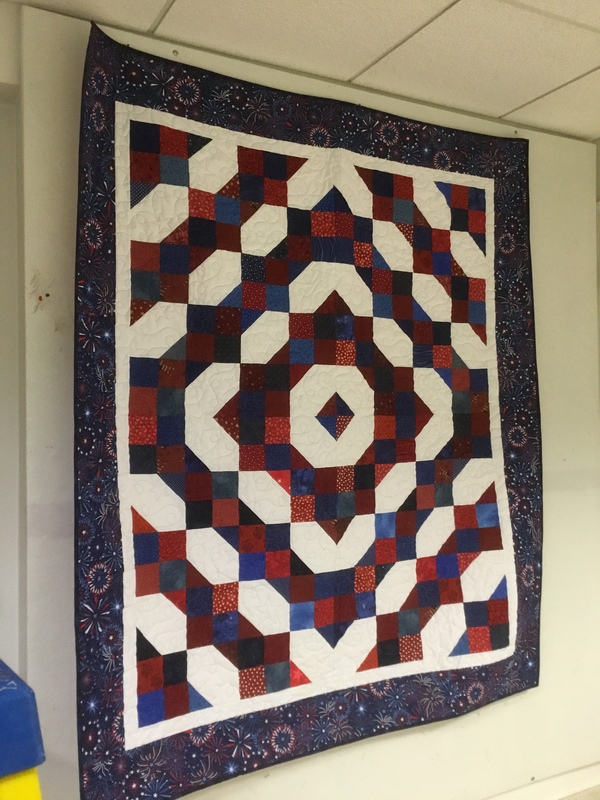 Our Happy Blocks for Maine Project is coming to an end and the blocks will be assembled into tops during the Maine sew-in the week of September 17th. 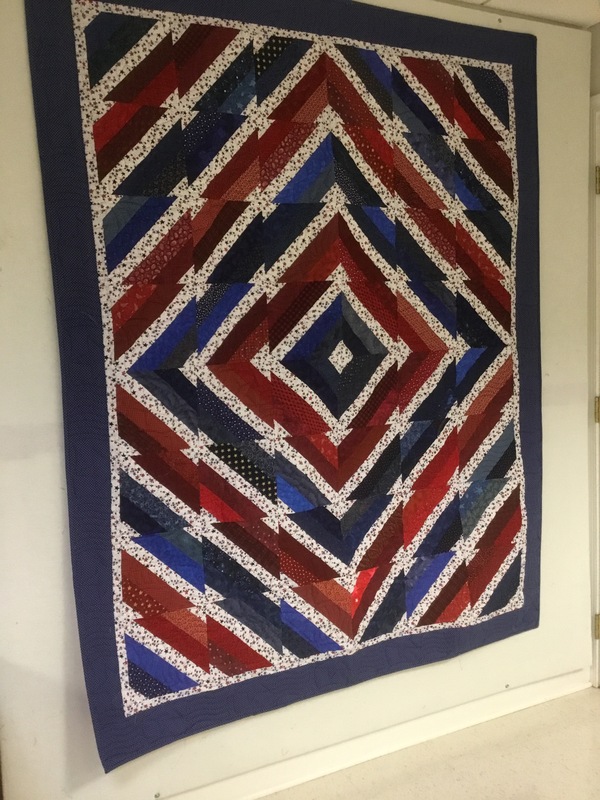 In addition to sending in blocks for group quilts I assembled a couple tops and quilted them here using Cuddle backing donated by Shannon Fabrics. 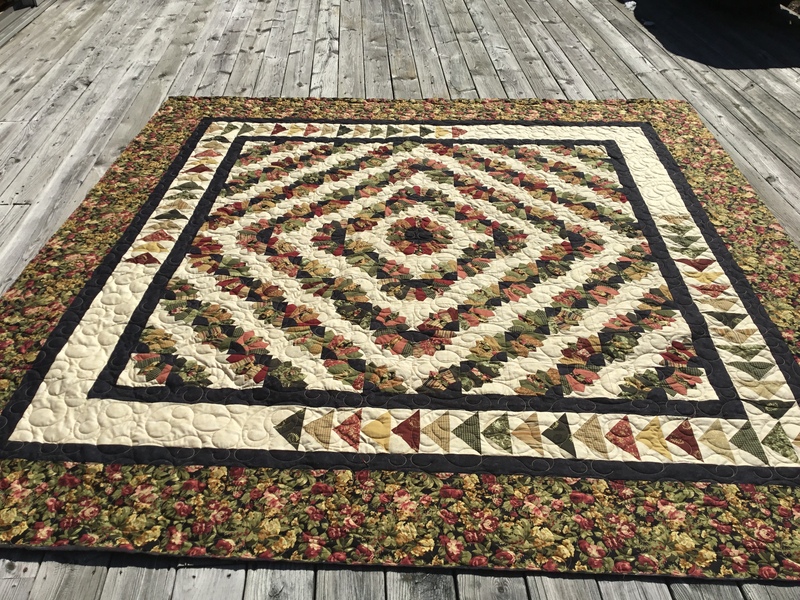 I’m looking forward to finishing more of these quilts this fall.